Should you bother trimming your trees? We’re tree trimmers so we would say “yes” wouldn’t we. 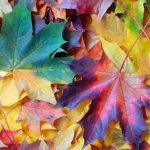 Actually, we advocate trimming your trees well and trimming them safely even if you trim them yourself as we detail later in this article. In the meantime, what do the experts say about whether it’s worth trimming trees? 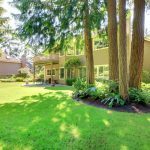 The clever people at United States Department of Agriculture (USDA) Forest Service state that large grown trees can raise the value of your home by 10% on average. And ICMA/ Management Information Services relay that that tree-based landscaping can augment your property’s appraised worth by up to 20%; giving better returns than kitchen remodeling by way of comparison. However, Moneysense warns that a trees' ability to grow property values depends on how well it’s maintained. In short, badly trimmed trees may actually decrease the value of your residence. So we hope that it begins to make sound financial sense for any trees you own to be trimmed properly. 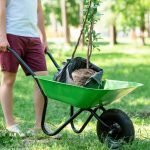 If you have a little time each month, it will also pay for you to care for your trees. Let our monthly tree care diary guide your efforts. We provide both tree care advice for individuals who like getting outdoors and also solid trimming service for both businesses and residential customers in the city of Brandon, Florida. On the one hand, trimming can be a time-sensitive activity in response to a hazard brought on by a tree or sizable bush. For example, a tree must be cut back when a limb blocks a roadway or even sidewalk. Wherever tree boughs are in danger of damaging buildings, they will need to be cut down and disposed of. On the other hand, trimming trees can likewise be necessary in case the whole appearance of the tree really needs sprucing up for cosmetic ideas in mind. Pruning is similar to trimming but just a bit distinct at the same time. Whilst our Venn diagram on the differences between the two show a clear overlap, tree pruning is actually more of a scheduled, intended practice entailing precise incisions in specific positions on the tree. Pruning should be conducted over specific months of the year in order to boost the tree's physical condition or fecundity (fruit productivity). Some see pruning as more than a minor agricultural activity. More and more municipalities regard pruning as a science which is vital to the vitality of the tree canopies that protect their cities. Recognizing its growing importance and also to stem the prevalence of poor trimming practices, the Tree Care Industry Association (TCIA) penned the ANSI A300 (part 1) Pruning 2017 document. Most self-respecting tree care businesses such as ours will follow the trimming doctrine contained in these standards. We summarize these trimming/pruning standards later on in this article. When you encounter the following problems with your tree, call us right away for a FREE quote. Your tree is reaching way too near electricity power lines. Get in touch with our business in order to talk to a licensed arborist so as to go over your trimming project. Our experts may stop by in case there is a sizable tree or several of trees concerned. Our team will then present a TOTALLY FREE, reasonable estimation of expenses with regard to the task prior to any kind of service starts. This leaves our customers firmly in the driving seat which is definitely how our customers prefer it! The single thing our experts aren't able to help our customers with is trimming your Christmas Tree ... unless it is actually a live one of-course. A stub is allowed to remain just where the tree limb has been cut off. Isolated stubs do attract rot as without a growing end to the cut branch, trees aren’t able to repair these successfully. Rather, trim near to the larger branch or trunk without injuring the 'collar'. Avoid flush cuts. Don't trim very close to the main branch or trunk since it will be slow to cure and foster rot causing weakness in the primary branch. Again, do not injure the important and functional collar which is a slightly raised are of tree tissue which joins the main branch to the secondary branch. Cuts are sometimes way too inclined to the direction of the tree branch and bigger than needed. Your pruning cut should be clean and you must attempt to get the smallest cut face attainable. Otherwise, the wound will likely mend over much more slowly, requiring additional energy which the tree can make use of elsewhere. Trees are often being cut back far too dramatically. This practice is often called topping or hatting or hatracking or lion-tailing and is forbidden under ANSI pruning standards. Such practices can certainly stimulate poor growth in the event that it does not kill the tree. Try to crop no more than a quarter from any one branch and a maximum of 25% of the tree’s total foliage in any 1 year. The tree's excessively large to cut safely. Unqualified folks climbing into large trees can and does bring about a high danger of a personal accident along with property damages underneath and around the tree. Simply don't ever do this - get in touch with the experts. Simply say no! Call Tree Top Pros instead. Cutting a larger tree demands the use of tracked, hydraulic vehicles with a bucket lift or personal climbing gear and ropes. There is a substantial chance of slipping off regular home ladders resulting in a significant cause of back yard injuries and even worse. The branches of bigger trees do swing down in seemingly random directions when cut and can easily compromise the ladder that's holding you up high above the ground. Sure, it’s tempting to save a few dollars but not at the risk of oblivion or serious injury. 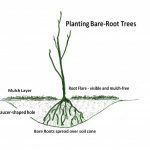 Utilizing practical experience and also a couple of tips directly from arborists, you may do this type of work yourself for your small-sized trees. We discuss several of the rudiments together with best pruning practices in our post here and inside our February Tree Care Diaries. Our company describes the maximum length of commonly available tree-cutting equipment that equates to around 30 feet when added to an adult’s reach. Any tree taller than thirty feet is going to involve ladders and our experts don't advocate that you employ these to climb up a tree for your own personal well being and safety. Our company has seen and been aware of way too many injuries. The first time that you think about trimming, contact our local area arborist and they'll will demonstrate to you effective ways to prune ... or trim. For palm trees, it’s difficult to trim them even when they are not fully grown. Our special June 2018 post in our Tree Care Diary series shows how to manage the efforts of a tree cutting company doing this work for you on your palms. Numerous local districts require that you hold a pruning permit before work begins on your tree, especially if it's placed within a commercial or industrial locality or even sited in a shared community living space. Some counties go a further and call for a before and after trimming check. We know the policies and laws in your local area and can guide you properly. Brandon is slightly softer on this level of control. Phone our team today with regard to your tree service requests.